Exterior house cleaning service in San Antonio is just a phone call away. Our team at Shack Shine is available to you today to scrub the exterior of your home with care. We know our customers take pride in their beautiful homes but could use a bit of help now and then to ensure that it remains in its best shape. That’s why we’re here. Our San Antonio house detailing service is just what you need. With our world-class customer service and easy online booking option, it takes no time for you to schedule the house cleaning you need. We’re making your home smile by using advanced methods to clean your home expertly. Relax and let Shack Shine do the work. You’ll have the nicest home on the block! In San Antonio, exterior house cleaning services from Shack Shine can often include exterior window cleaning. We use a water-fed, carbon fiber pole with a squeegee to scrub the exterior of your windows. We’ll wipe down frames and screens, too. There’s no reason you shouldn’t have a clear view. Shining home, smiling family! The gutters on your home protect it from rainfall. That’s why it is so important to keep them debris-free. At Shack Shine, we use a high-powered vacuum to remove all of the debris from within them. We flush them clean, too. This method allows our team to stay off the ladders but still provides you with a stunning level of cleanliness. It’s happiness in every detail. 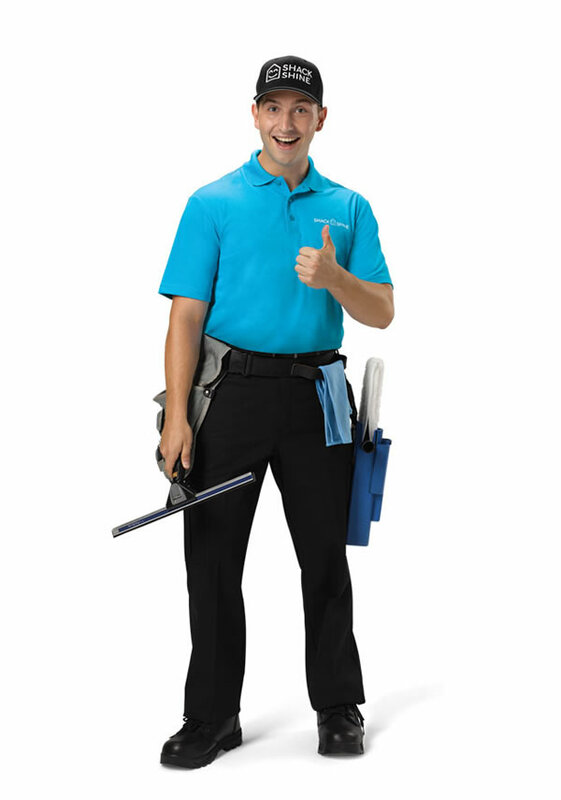 Even better, you don’t have to worry about getting dirty when our smiling, friendly technicians do the work for you. In San Antonio house detailing also means paying close attention to the surface of your home. We use just the right amount of power washing to scrub the exterior of your home. We’ll even hand scrub areas if necessary. Our methods pull off years of grime and buildup creating a like new look. Using the right amount of power washing, Shack Shine also provides roof cleaning services. Let us strip away the moss, mildew, and mold, as well as anything else that’s sticking to it. This not only helps to protect the surface of the roof, but it also helps your home to look fantastic. Your home will love you. Our exterior house cleaning San Antonio service also includes pressure washing. We can pressure wash most hard surfaces including driveways, walkways, decks, patios, and furniture. We use environmentally safe cleaning agents to do the work, too, so you always get a high level of cleanliness without damaging the planet. Pressure washing is one of the house detailing services San Antonio residents love because it can bring new life to otherwise dirty and damaged surfaces. We’re shining your neighborhood, one home at a time. Get ready to have the most festive and shiniest house on the block this holiday season! Shack Shine San Antonio is in your area, offering a high quality and efficient Christmas light installation service, making it easier for you to get ready for the holidays. We offer high-quality commercial grade Christmas lights that are energy efficient for your home. Everything is 100% customizable from the style to the roofline fit. For your convenience, we’ll return to fix burnt out lights and do the takedown at the end of the season. Let us help you get into the holiday spirit. We are happy to help you get started with holiday lights decoration with our high quality service. We are here to help from start to finish and make your holiday a memorable experience. My name is Adam Snouffer and I am the owner of Shack Shine San Antonio. I grew up in the San Antonio/Boerne area and joined the Marine Corps immediately after high school. I spent 13 years on active duty with the Marines which took me all over the world. It was then I realized I wanted to pursue a degree in higher education, so I moved my family back home and attended the University of Texas at San Antonio. 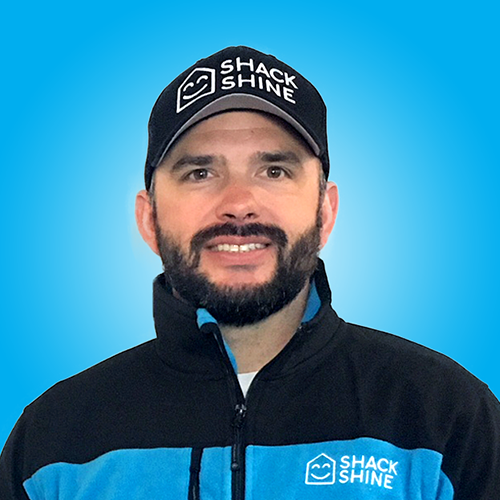 After graduating with my B.B.A in Management and combining that with my leadership and management skills acquired through a lengthy military career, I realized my passion for business which led to becoming a Franchise Partner with Shack Shine. I definitely chose Shack Shine because of their core values of passion, integrity, professionalism and empathy. There is a concerted effort in bringing quality work to the home services industry, which is exactly why I chose this organization. With that said, I’m excited to bring San Antonio it’s first Shack Shine company and can’t wait to deliver professional and quality work for you and your beautiful home!